Jujuba Asia had been on my list of places to dine. Therefore, when a friend suggested we have dinner there I agreed without hesitation. We wandered into the restaurant with high expectations, and I am happy to say that we were delighted with the experience. This fabulous new culinary destination is an absolute gem. Jujuba is actually a restaurant and a bar. Subsequently, the vibe is vibrant and upbeat while still offering a relaxing place to unwind with friends. This ultra-modern restaurant bar offers a fresh twist on classic Asian cuisine that is suitable for any palate. From the dynamic décor and furnishings, and ambient music to the exceptional service and simply sensational food, Jujuba Asia has all the elements for a fabulous dining experience. The friendly service makes dining at Jujuba an absolute pleasure. The moment you walk in the door you will be captivated due to the fact that the décor at Jujuba Asia is strikingly different to anywhere else. The sleek, clean lines and high ceilings give the restaurant a fresh and modern look. Additionally, the open plan creates a feeling of spaciousness. In contrast, the chunky wooden stools, tables and benches and large inviting booths offer a more grounding and intimate appeal. However, the most striking part of the restaurant's aesthetic appeal is its warm and inviting colour scheme. The fiery red colours add a drama to the minimalist design aesthetic that works surprisingly well. By combining contrasting elements, Jujuba Asia creates a holistic dining space within which to relax and enjoy yourself no matter when you go. Relax and enjoy yourself at this modern restaurant and bar. The restaurant is open seven days from 11:30am till late, and happy hours are from 4 to 6pm daily. Therefore, you can satisfy your cravings for lunch or dinner, dine-in or takeaway. Although I must say the restaurant has such a fabulous atmosphere you really would be missing out on part of the dining experience if you didn't eat in. Our waitress set the mood for the evening with a warm and welcoming smile before immediately ushering us to our table. From that point forwards, her attentiveness left us wanting for nothing at every stage of the meal. In fact, I have to say the service was outstanding. All the staff were polite, friendly and very professional throughout the evening making the whole experience even more enjoyable. Enjoy a cocktail or two from the bar. Jujuba Asia brings an assortment of Asian flavours and tastes to its patrons. 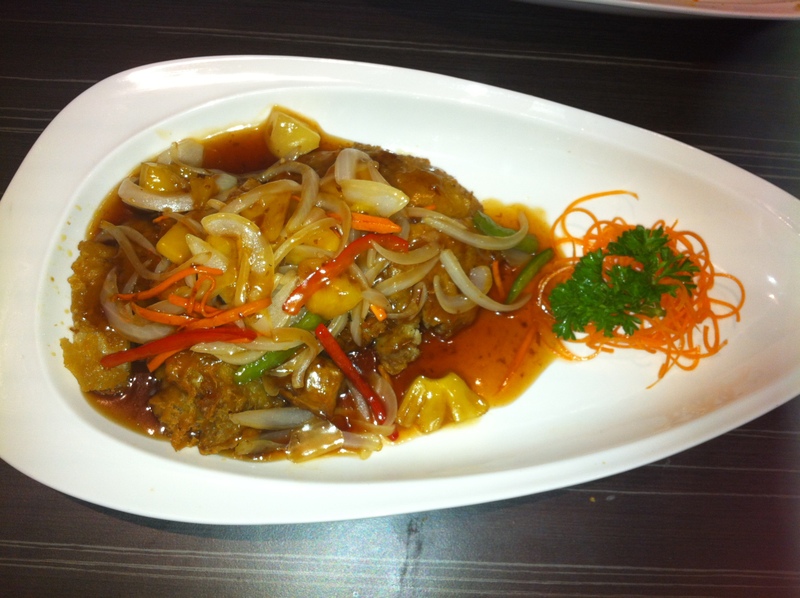 Its menu offers a modern fusion of Asian cuisines that will tempt, tantalise and delight your taste buds. The variety of dishes on offer will leave you feeling more than satisfied. However, quantity certainly doesn't supersede quality in this case. There is a selection of snacks and starters to choose from which are designed to tantalise your taste buds in preparation for the dishes to follow. There are light meals and entrees, salads and vegetables, soups, curries, rice dishes, noodles, noodle soups as well as an a-la-carte menu to choose from. This eclectic mix of dishes ensures that you get the very best of what contemporary Asian cuisine has to offer in Australia. 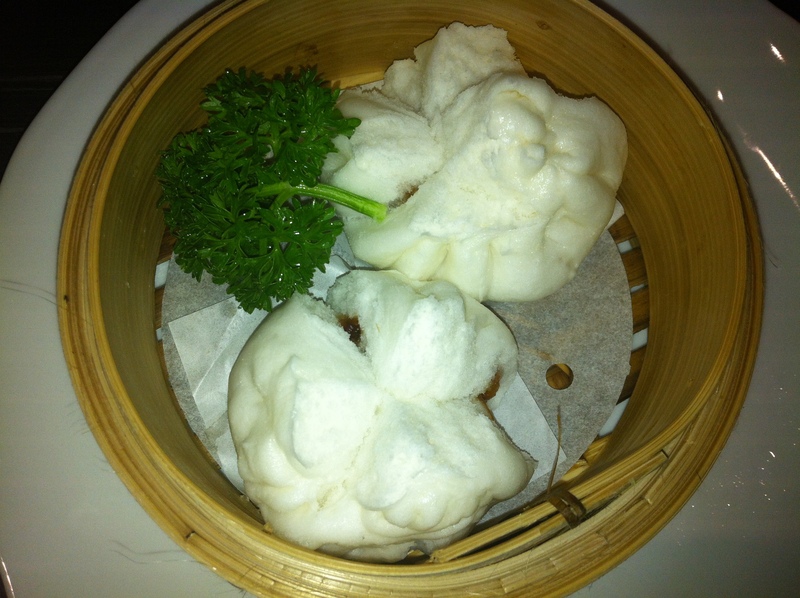 These delicious barbeque pork buns make an excellent appetiser. 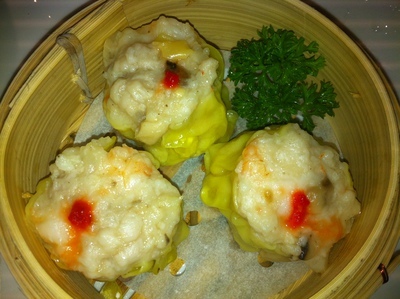 Try a dim sim for a delightful starter. There really are such a wide range of options, no matter what kind of flavours you prefer, you will definitely find something to suit your mood and tastes. Surveying the menu, we initially weren't sure where to start. So we took the plunge and ordered the Char Siu Bao (BBQ Pork Buns) ($5 for two pieces) and Siu Mai (Prawn and Pork Dim Sim) ($6 for three pieces) as appetisers. They were divine. The pork buns were light and fluffy yet delightfully gooey at the same time. The almost indescribable texture only achieved from steaming dough. Furthermore, the pork centre added a subtle flavour to the bun. The dims sims were a flavoursome combination of pork and prawns with a dense dumpling-like texture that delighted the taste buds. 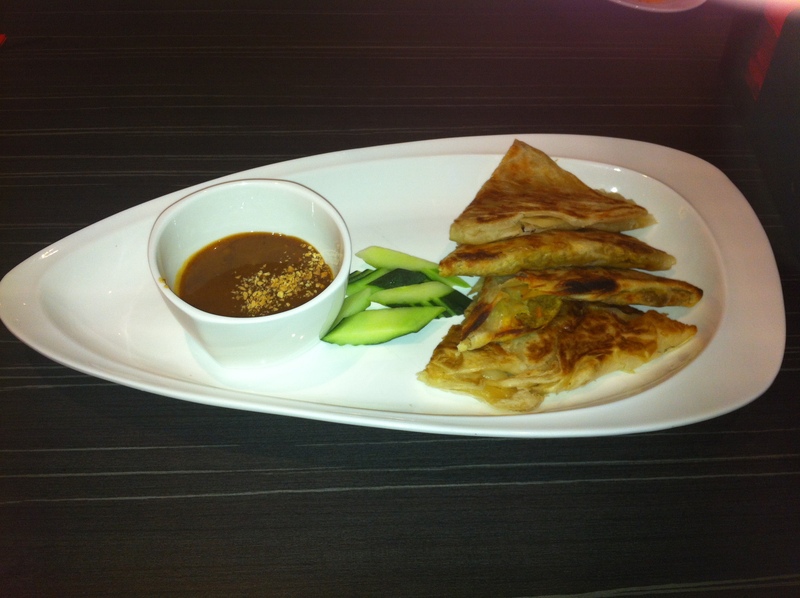 This spicy lamb roti was simply sensational. Sip on a frozen daiquiri for a cool change. For our shared entrée we ordered the Spicy Lamb Roti ($12), that comprises of a Malaysian style flatbread with mixed herbs and lamb mince served with a sublime sauce. The crispy exterior of the roti was offset by the delicious lamb filling which was ultimately brought together by the simply sensational satay sauce. The flavours worked beautifully together to create an irresistibly mouth-watering dish. 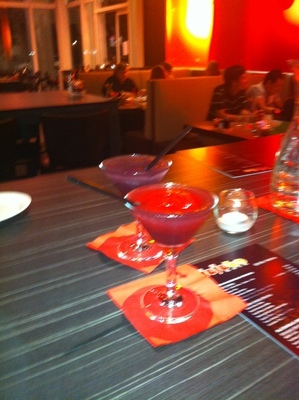 Meanwhile, we sipped on the frozen daiquiris ($5) we had ordered from the bar. You can choose from a selection of flavours including fruit tingle, strawberry, margarita and mango. I highly recommend a mix of the fruit tingle and strawberry flavours. It really was the perfect environment to relax over a cocktail, especially with the mix of jazz, soul and funk they had playing in the background. Order the deep fried crispy duck for an extra special treat. The pinnacle of our dining experience was definitely the main. Unfortunately, we had already filled up on all of the starters and perhaps on one too many frozen cocktails. Nevertheless, we still managed to enjoy some of the Deep Fried Crispy Duck served in plum sauce with capsicum, onion and pineapple ($24). The duck was cooked to perfection. It was tender and juicy on the inside and lightly crispy on the outside. Served in the smooth, sticky, sweet plum sauce it really was delicious. The light, fluffy and fragrant coconut rice ($4) absorbed all the flavours of the dish making it the perfect accompaniment. With such a wide range of options I found that sharing all of the dishes was the best way to experience as many flavours as possible. The dynamic décor at Jujuba creates a vibrant atmosphere. The quality and flavour of all the dishes were phenomenal. With such a variety on the menu, the chefs at this restaurant certainly have quite a challenge executing each meal perfectly every time. However, they did a fabulous job. Despite the range of styles and cuisines available there is symmetry to the menu that ensures all the flavours work in harmony to produce an unmatchable gastronomic feast. I just love it when restaurants take you on a culinary journey and allow you to explore different cultures by means of their gourmet delights. Jujuba Asia is what epicurean dreams are made of. This delightful dining experience left me pondering just one thing … what am I going to choose from the menu next time?